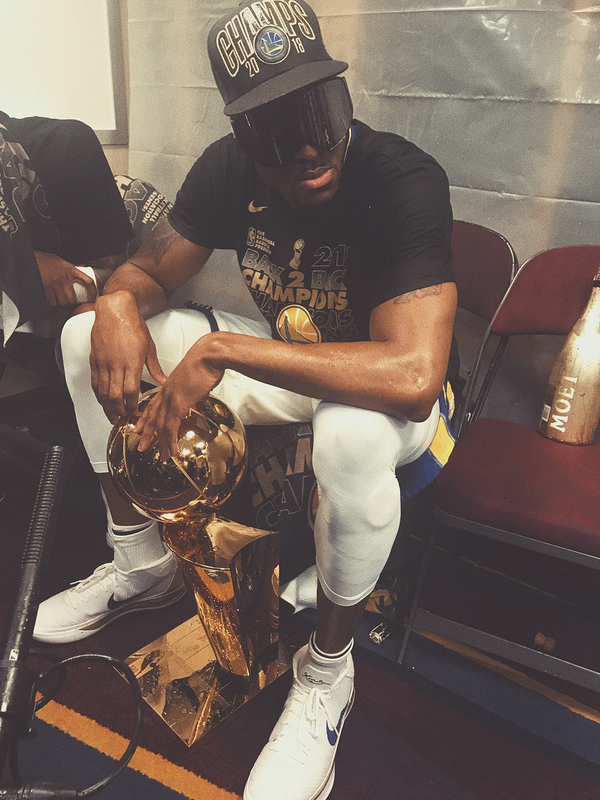 Bonus behind-the-scenes photos and videos from the night the Dubs captured the 2018 NBA Championship. When you’re covering a Championship celebration, a lot of content gets lost in the shuffle. You’re simultaneously taking photos and videos, posting on multiple social platforms, wondering how you can be in three places at once, hoping the WiFi works, and trying to enjoy the moment - all while doing your best to keep your phone protected from the gallons of champagne spraying around you. 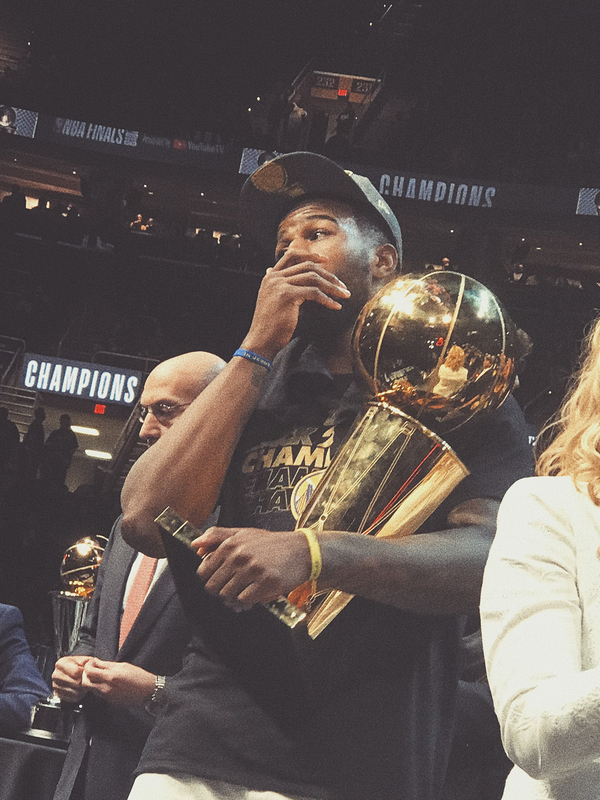 I took roughly 200 photos and videos the night we won the 2018 Championship, but not all of them were posted for one reason or another. 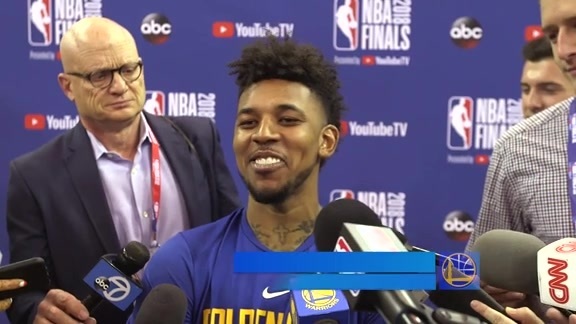 So, instead of having all of this content stay on my camera roll, I’m sharing it with Dub Nation. Plus, Championship content never gets old. Enjoy! 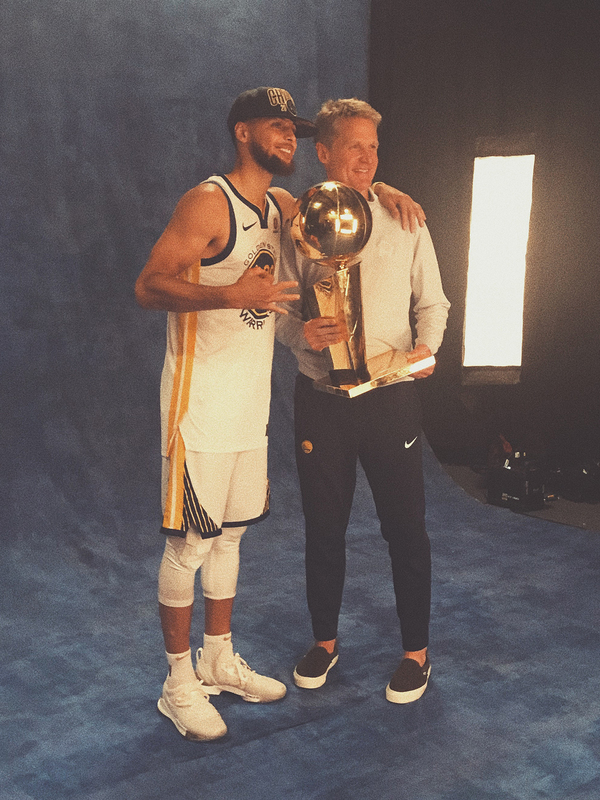 8:34:27 PM - Seconds after clinching the 2018 NBA Championship, Coach Kerr and Pat share a special moment together. 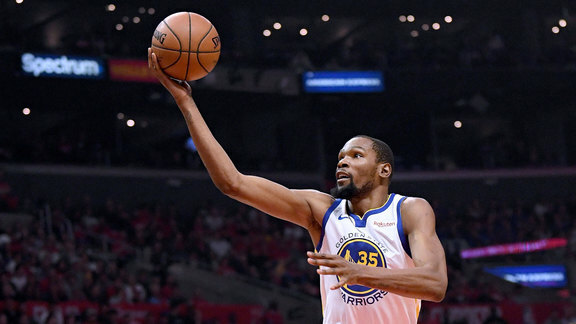 8:35:39 PM - KD sums things up in one word. 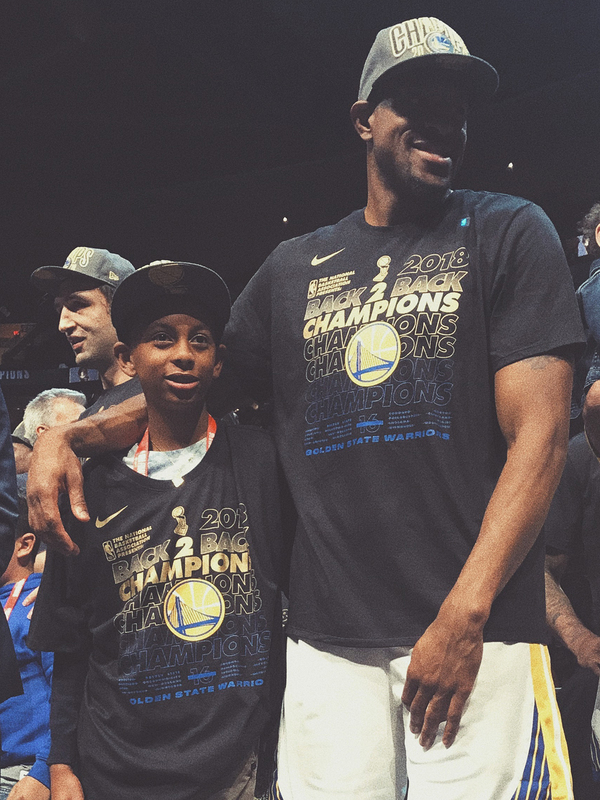 8:38:19 PM - Andre and his son gather on stage as the Larry O'Brien Trophy presentation ceremony is about to begin. 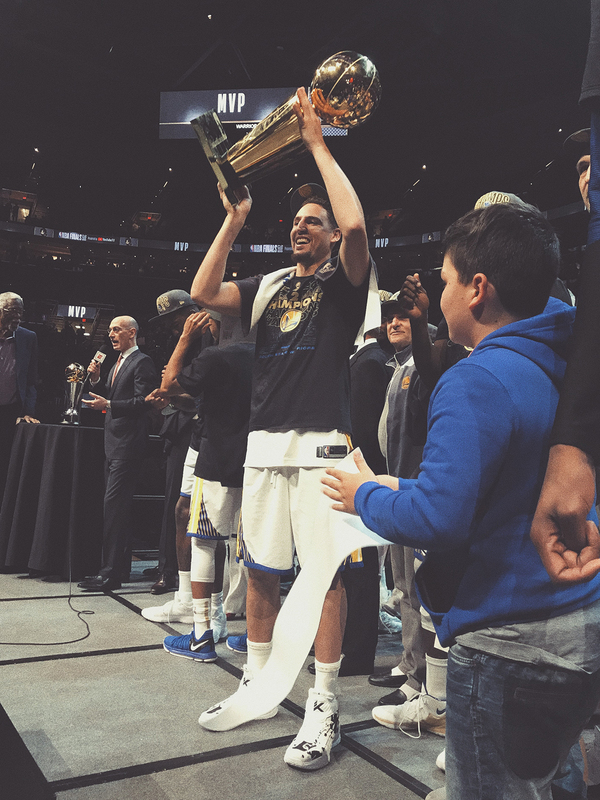 8:40:12 PM - The Dubs cheer as NBA Commissioner Adam Silver presents the squad with the Larry O'Brien Trophy. 8:42:07 PM - How many rings you got, Klay? 8:42:31 PM - Jordan can't believe how his rookie season ended. 8:43:29 PM - KD and Larry, together again. 8:43:50 PM - Jordan and Quinn strike a pose with Larry. 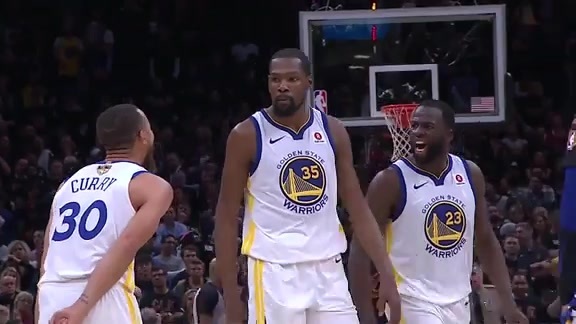 8:44:21 PM - Teammates cheer on as KD is named the 2018 Finals MVP. 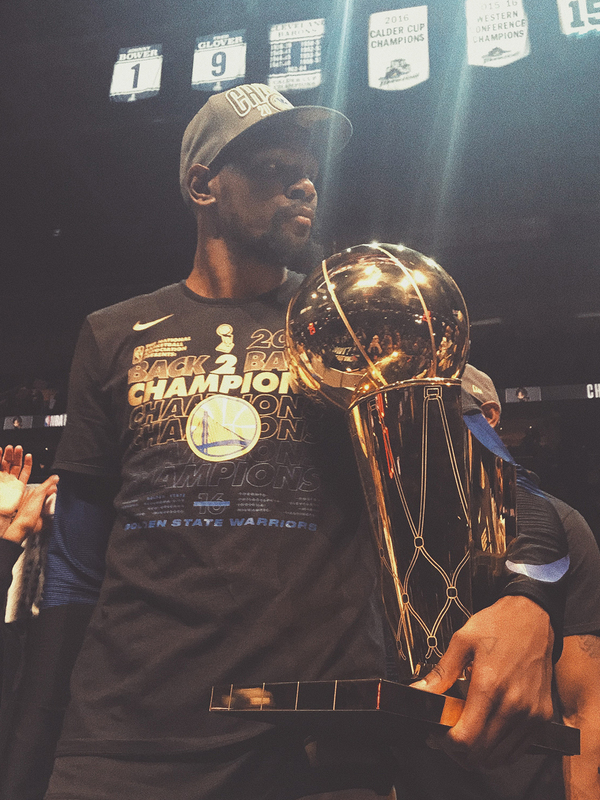 8:48:36 PM - "Your 2018 NBA Champions - the Golden State Warriors!" 8:53:02 PM - Draymond makes his way to the locker room, celebrating with fans and friends along the way. 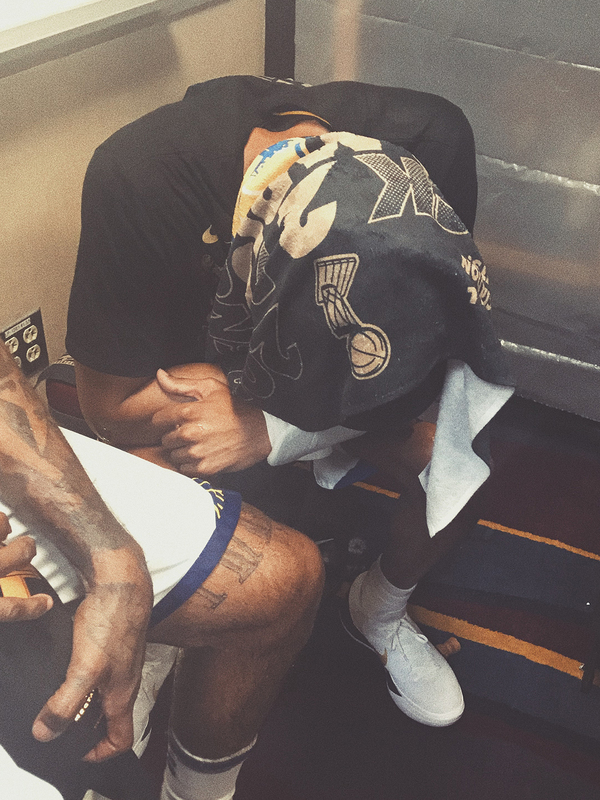 8:55:37 PM - KD and Quinn are hype to continue the celebration in the locker room. 8:56:29 PM - CHAOS. THE BEST KIND OF CHAOS. 9:01:02 PM - It's not a true Championship celebration without a dance circle. 9:01:26 PM - Enjoy nearly two minutes of unfiltered Championship chaos. 9:07:01 PM - Pat takes a moment for himself to reflect and soak in the moment. 9:08:10 PM - The rookie celebrates in style. 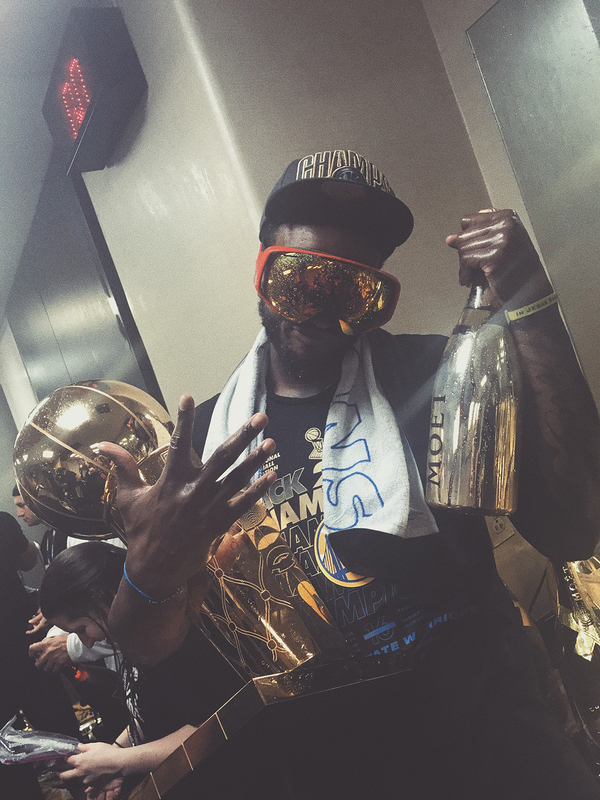 9:09:34 PM - Another one for Andre. 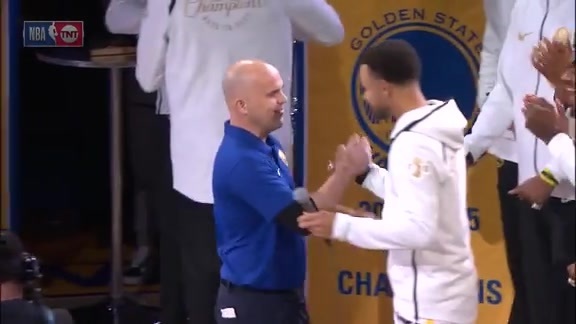 9:10:25 PM - Quinn celebrates his teammates while Klay uses the moment to let Damian know he needs to work on his Fortnite skills. 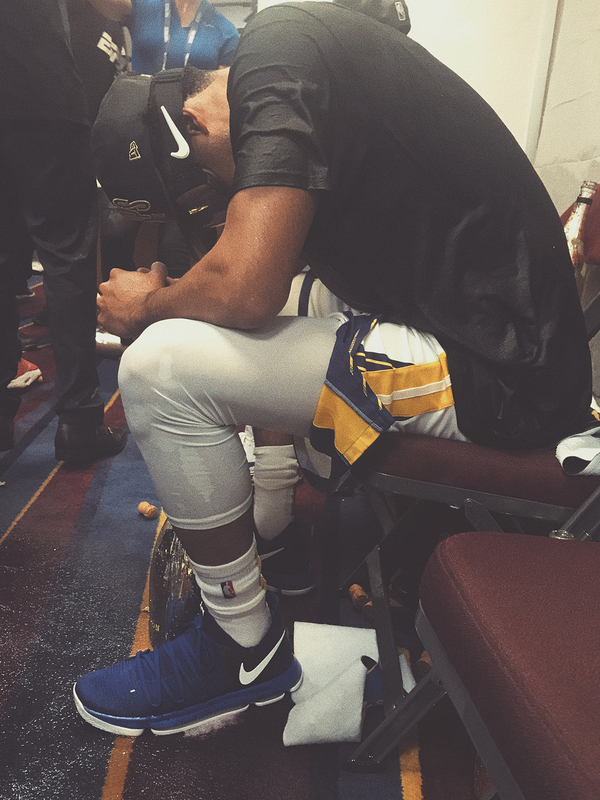 9:13:39 PM - Despite the chaos surrounding him, Quinn finds a moment to reflect on his journey to becoming an NBA Champion. 9:37:00 PM - Can always count on Klay for a good quote. 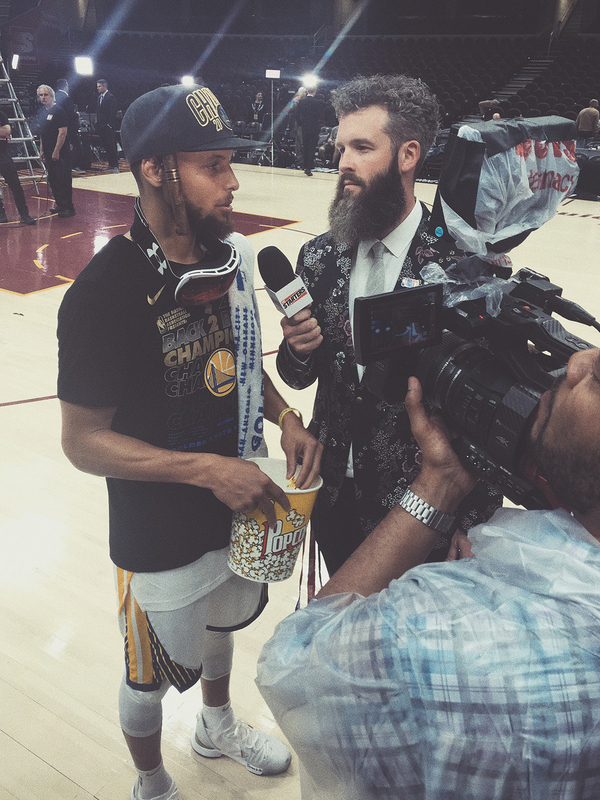 10:01:36 PM - If you drop 37 points in a title-clinching game, you get popcorn during interviews. It's the rules. 10:28:16 PM - Together these guys have 11 Championships.